1/ Select Settings from your Home screen. 4/ Tap on VoiceOver under the Vision category at the top. 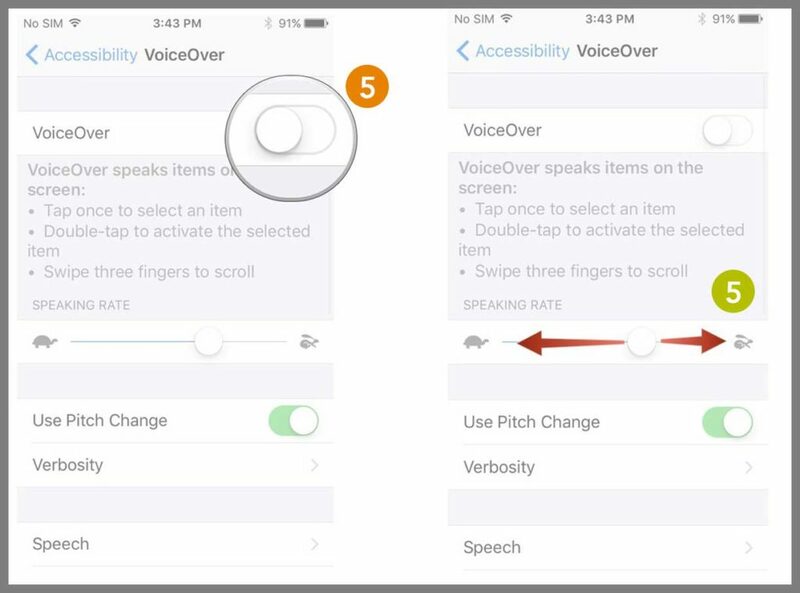 * Once you enabled VoiceOver, the gestures you regularly use on your iPhone or iPad will change. You can change how quickly the VoiceOver speaks to you. Read iMore.com’s article for the full list of iPhone/iPad Accessibility features! Information gathered for this article by our in-house Assistive Technology Consultant.